A Hornblendic Complex, Including Appinitic Types, In The Migmatite Area of North Sutherland, Scotland. An original article from the Proceedings of The Geologists' Association, 1943. - CHENG, Y. C.
CHENG, Y. C. - A Hornblendic Complex, Including Appinitic Types, In The Migmatite Area of North Sutherland, Scotland. 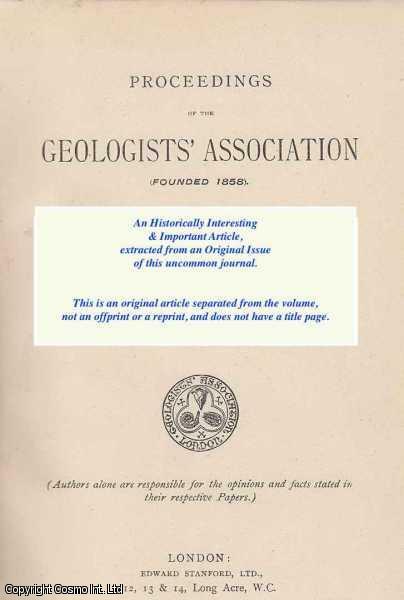 An original article from the Proceedings of The Geologists' Association, 1943. Geologists' Association, 1943. First Edition, Disbound. Very Good Condition. 21 pages, 7 figures and 1 plate. Note; this is an original article separated from the volume, not a reprint or copy. Size: Octavo (Standard book size). Quantity Available: 1. Category: Proceedings of The Geologists' Association; Inventory No: 235205.